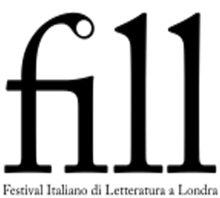 AS LONDON'S Italian community face the twin challenges of Brexit and the "illness of democracy" afflicting Italy, LFB members will receive a 25 per cent discount on tickets to events at the Festival of Italian Literature in London (FILL), which runs from 27-28 October at the Coronet Theatre in Notting Hill. Speakers include Igiaba Scego, Sharmaine (editor at Little, Brown), Walter Siti, Olivia Laing ( The Lonely City ), Ali Smith, historian Donald Sassoon, Lorenzo Marsili, poet George Szirtes, Veronica Raimo, Sophie Mackintosh, Paolo Berizzi ( La Repubblica ) and Forensic Architecture. It includes an event on "The politics of translation, London as a second language". There's a full programme at www.fill.org.uk/events.